The Greater Toms River Chamber of Commerce offers many member-only, no-cost or cost-effective ways of promoting your business & reaching your target audience. Website – no-cost to chamber members! Members receive a free alphabetical/category listing in our online membership directory with a link back to their website. Your online member listing also includes a free map showing your exact business location. As a member, you are also encouraged to contribute your expert information in the form of a blog article on our News page. Website sponsorship opportunities are available – please click here to check them out now! New Members – no cost to chamber members! Members receive a free posting on the New Member Page on our website! Member Connect – no-cost to chamber members! Our monthly networking event on the 2nd Friday of the month at 7:45am at the Tuscan Bistro Bar is a must-attend for business owners and operators! To register for our next Member Connect, visit our News and Events page. Click here to secure your Member Connect sponsorship opportunity today! 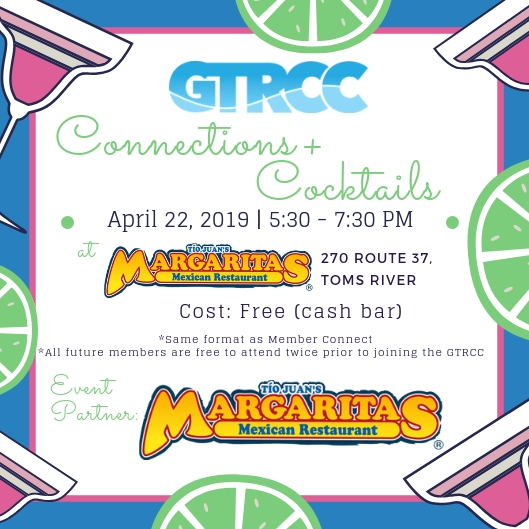 Connections + Cocktails – no-cost to chamber members! Our monthly networking event on the 4th Monday of the month (Sept – June) at 5:30pm at various member locations is a must-attend for business owners and operators! Check our Connections + Cocktails page for the most up to date information. Business After Hours – no-cost to chamber members! For-profit businesses partner with non-profit members to bring you a meaningful event that you can feel great about attending. Our only ask – give freely to the event’s non-profit. Click here for more information on how to make your Business After Hours a huge success! Contact the office to find out more about hosting a Business After Hours event to spotlight your business! Member News/Events bulletin board post (Hootboard)/Chamber Newsletter – no-cost to chamber members. We encourage our members to post your event flyers and business announcements to our Member News page, please view here. The link to this page will be included in our weekly newsletter. Community Calendar posting – no-cost to chamber members. We encourage our members to take advantage of the community calendar on our website, by posting your upcoming events. Please feel free to submit your event here. Member-to-Member Directory – no-cost to chamber members! We will provide your business with an emailed spreadsheet of our membership list that will include company name, contact names, address, phone number, and fax numbers. We do not share member email addresses. Please contact the chamber office at 732-349-0220 or email us for more information. E-introductions – looking to connect with someone in our membership? Contact chamber staff and request an e-introduction. Event Sponsorships – investment varies. Contact Karen Hershey, CEO at ceo@tomsriverchamber.com to learn more! Partner Member Opportunities – investment varies. We love doing business with our members…and we want you to, too! Discounted rates on automotive – in partnership with Gateway Toyota. Click here to find out more! Print advertising savings – in partnership with Ocean County Woman. Click here to find out more! Small business spotlight – in partnership with Asbury Park Press. Click here to find out more! Employee training and workforce development courses – no-cost to members – in partnership with Ocean County College. Click here to find out more! Speaking Opportunities – in partnership with Ocean County Score and Central Ocean Rotary Club of Toms River. Email danielle@tomsriverchamber.com for additional information. U.S. Chamber of Commerce Partnership welcomes you, through your existing membership with our local chamber, as a new member of the U.S. Chamber of Commerce at no additional cost. The U.S. Chamber of Commerce is the world’s largest business federation and 96% of their members are small businesses like you. Through your membership with the U.S. Chamber, you will have access to the many valuable benefits designed specifically for small businesses, including toolkits, news and advocacy updates, and other products, services, and publications. The GTRCC has partnered with New Jersey Business and Industry Association (NJBIA) to help our respective members expand their networking reach. Our organizations will offer reciprocal member pricing for attendance at a wide array of select member events. GTRCC members can attend NJBIA member events at the NJBIA member price. GTRCC members may also sign up to receive NJBIA’s informative Capital Memo, a weekly email that provides news and insight about the legislative happenings in Trenton. If you are interested in membership with NJBIA, you will be offered a 10% discount on membership as a Chamber member. Contact Karen Hershey, CEO at ceo@tomsriverchamber.com for additional information. Customer Referrals – Each week the chamber receives inquiries asking to be referred to a business which will meet their needs. The chamber will only recommend their members to the public. Include your businesses collateral to “relocation” packets that the Chamber will mail out to prospective new residents who call the office to inquire about area information. As a new member, you will be featured in our e-newsletter, our Facebook Page, at your first Member Connect. To take advantage of these opportunities, please contact the chamber office at 732-349-0220, or send us an email – info@tomsriverchamber.com.